Posted on May 5, 2016 at 12:53 pm. I knew we wouldn’t stick together throughout the race — Andrew’s speed has definitely surpassed mine in recent years — so we also talked logistics, like where I’d meet up with him at the finish. The rest of our family, all running the 5K, would be somewhere near the finish, likely along downtown’s Front Street, to cheer us in. The gun went off, we started out together, and within the first couple of miles, I wished him luck as he bolted away. I was confident he’d have a great race — and he did. Andrew and me at the finish of last summer’s Cherry Festival 15K. 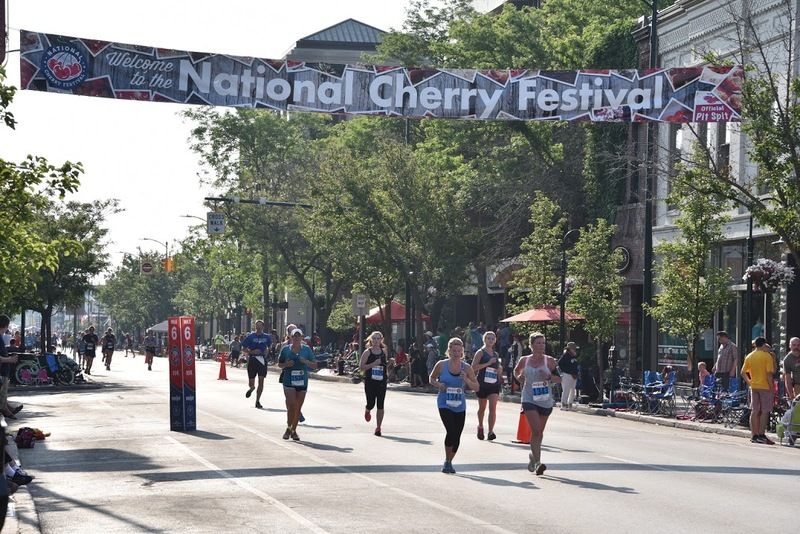 The National Cherry Festival, an annual summer tradition dating back to 1926, features four different road races — the longstanding 15K and 5K and the newer half marathon and 10K. We look forward to these races each July — this year they take place Saturday, July 9 — and with the varied distances, everyone can find something they like. For years, we all ran the 5K together. One year Andrew and I ran the 10K, then last year decided to run the 15K together. This summer we’ll be there again, though I’m unsure what we’ll all be running…Andrew mentioned an interest in the half, and I wouldn’t mind joining him since this is the one distance at the Festival of Races I’ve yet to take on. Finishing your race in downtown Traverse City is super fun — the street is closed for the big end-of-festival parade later in the day, and parade-goers are already there and love cheering on runners. 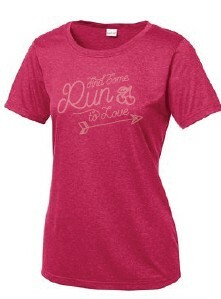 I’m excited to again be partnering with race organizers, allowing MRG to help encourage runners to sign up. 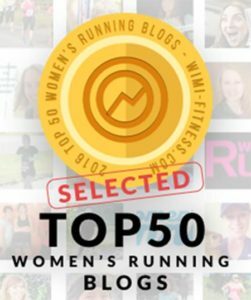 MRG also will be sharing race stories and runner profiles, as it has in the past, in the weeks leading up to race day. An upcoming podcast episode will be devoted to the races, too. 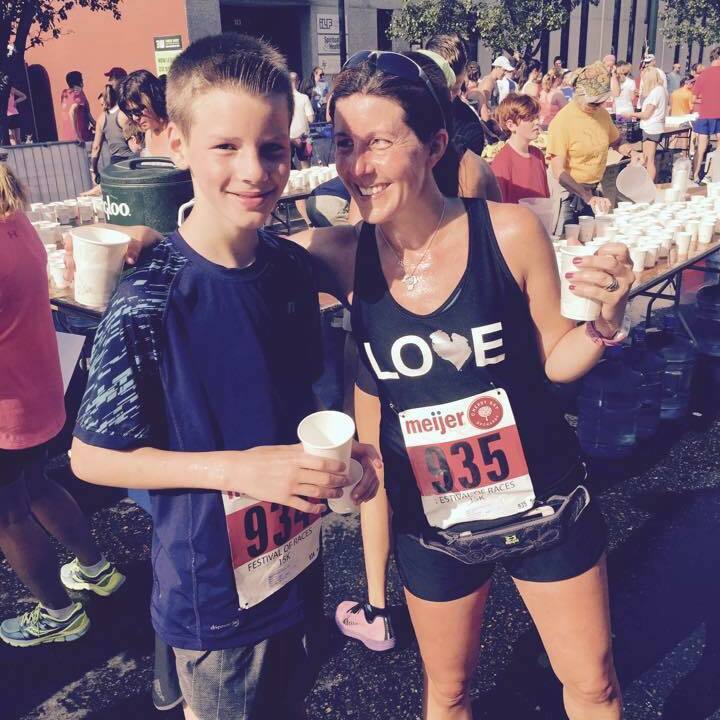 If you’re looking for a super family-friendly summer run/walk, the 5K is it. 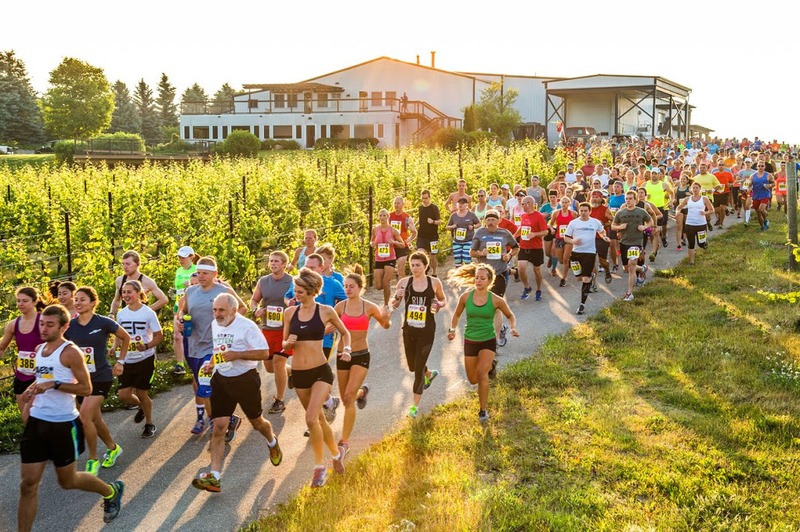 The 15K is a classic event here in northern Michigan — locals love it, as do those who frequently visit the area or are returning to their hometown for the Cherry Festival. There’s just something about the unique challenge of running a 15K — and a 15K that takes you up and over a well-known local running landmark: McKinley Road. The course views are amazing! The festival’s half marathon, which starts at Chateau Grand Traverse on Old Mission Peninsula, is especially popular — runners across the country are loving the 13.1 mile distance — and it is capped at 1,000 runners. It’s grown in its participants each year; last year 675 runners completed this race, and organizers expect even more this year. 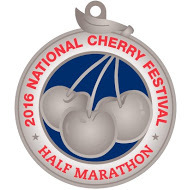 One new aspect of this year’s races: cherry trail mix — lots of it — provided at the finish line.